Tribute To The Best Of the Pop '60s! check out our latest songs on our audio page! Matching outfits, vintage guitars, and songs you love! 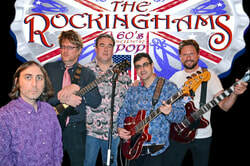 ​ ©The Rockinghams Band, Inc.